Vesak Day was a day well spent for me. School holiday started a day earlier, thanks to the Vesak Day holiday. Early in the morning, we brought the children to MacRitchie Reservoir to feel and explore the nature. My children enjoyed themselves very much, especially the eldest boy as he gets to discover the plants related to his Science subject. We spent the whole morning in the park. My spouse went to JB for a short business trip earlier in the week and I asked him to help me to buy some herbs for my cooking. So I made use of three different herbs in my cooking for dinner. Here were the list of food prepared specially for my family dinner. Coral red and green lettuce, honey and cherry mini tomatoes, golden raisins, onions, almond nibs, olive oil and some chopped basil leaves, plus some sea salt and ground black pepper. I found that adding basil leaves to salad really brings out a simple salad into a classier salad. Marinated potato wedges with curry powder, turmeric powder and olive oil. I have forgotten to add some salt into it and tasted a bit plain. I have also over baked it a little. I baked at 190C for 1 hour, which was too long. Should have baked it for 45mins. However, when the wedges were dipped in mayo, it changed the taste completely. It tasted really good. The curry and turmeric powder were not spicy. Marinated the night before with my fresh rosemary herbs, light soy sauce, honey, some ground black pepper and olive oil. With the addition of honey, it caramelised too fast and made the chicken very black way before it was cooked. Therefore, after baking, I had to remove the skin before it was being served. In future, I would omit honey, even though I like the sweet honey taste in the chicken. Recently, I was quite hooked on watching Asian Food Channels (AFC) on cable. I like one of the show called French Food at Home hosted by Laura Calder. I love the way she prepares and cooks her food. They look truly gourment to me! There was this episode which I caught it half way through and tried to prepare the food. Not sure if it's correct. Here is roughly how I perceived and prepared it. Prepare the pasta as usual. Toss the pasta in olive oil. Grind whole almonds, spearmints, peppermints and some walnuts together till rather fine. Separately grind pine nuts a little, but not too fine. Then mix them together. Next, zest an orange and a lemon into the olive oil covered pasta. Add the blended nuts in and mixed thoroughly. Also add some sea salt and ground black pepper to taste. My family commented that the pasta is very special. It's not the usual pasta you get to take outside. It's really healthy with the nuts, at the same time, there are the freshness from the zests of the citrus fruits. I guess if you want, can add in fish fillets or prawns. I think it will taste nice too. However, the grind nuts must be reduced if seafood is added. You can use any mint leaves that is available in the supermarket. Since my spouse bought spearmints and peppermints, I just use a bit of both mints. Probably should have use more mint leaves. Also, I think walnut might not necessarily be added as it wasn't in the original recipe. Almond and pine nuts should just be nice. Chopped 8 bulbs of lemongrass and boil it in a pot of water (approx. 2.5litres). After boiling, add sugar to taste. Let it infused and cooled. Then refrigerated it. Before serving, add a teaspoon of lime juice to the drink. Add ice and serve. Initially I was indecisive on what desserts to prepare. I can't decide if it should be trifles or brownies. Then I happened to look through some recipe book and realised that it was a while before I made choux pastries. 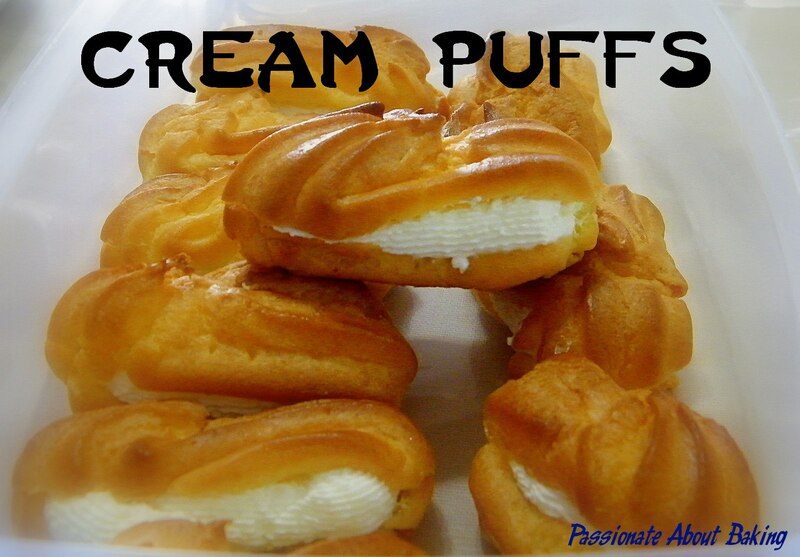 So I decided to make some cream puffs. 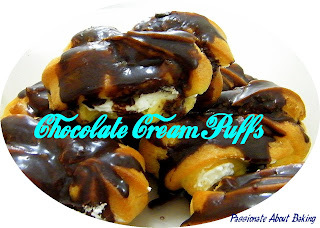 I happened to see that Ju also made some puffs too! Mine wasn't as cute as hers though. I filled my choux with whipped cream and topped it with chocolate ganache. The choux pastry was really light and thin, I like it very much. Cooking with herbs were the theme for the day. I shall try to use herbs in my food in future, that is, if I can get my hands on them! You are a supermom to cook all that by yourself just for dinner! Lemongrass and lime are made in heaven. Try adding some mint leaves and kaffir lime leaves next time when boiling, taste so good!!! Sounds like a mint pesto that you are making to go with the pasta. 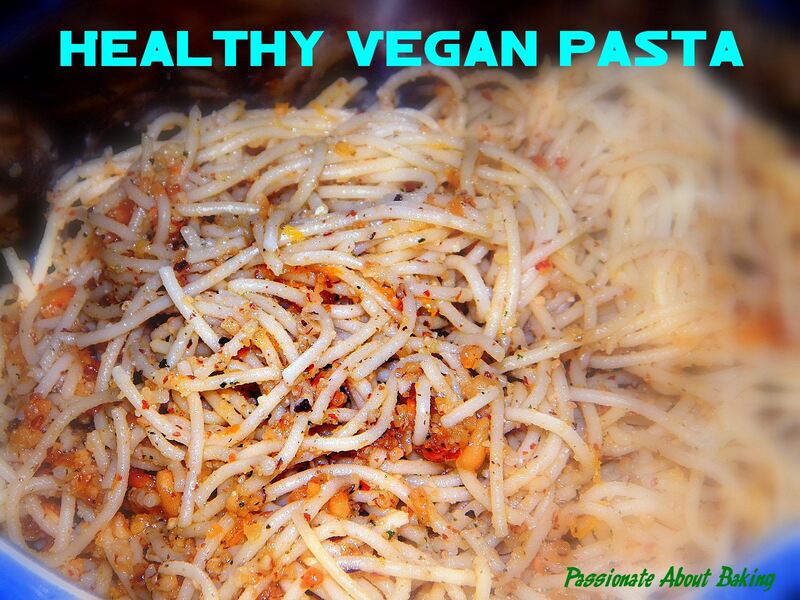 I love pesto too, they are easy and goes well with pasta, just toss it through and it's ready to serve! Great job Jane! Thanks! I asked my helper to do the preparation while I did the actual work. So I'm not so "super" afterall! Oh, thanks for your suggestion. I'm sure the mint leaves and kaffir lime leaves will be a great combi together! So far, I've not cook or use kaffir leaves even though I've seen many cooks and bakers use them. I've no chance to use it yet. Sounds like mint pesto? I didn't know it. I've not made pesto before and I didn't know it made use of nuts too! Thanks for all your tips and suggestions! wow u did all that? fantastic..the pasta looks really scrumptious n colourful. honey does make chicken dark n burnt very quickly doesnt it?...I have never roasted chkn with honey but I like the taste though. Aw, you flattered me! :p The pasta tasted rather good and unique though. Ah, you're smart not to use honey to bake chicken. Don't try. Hahaha...else you'll ended up with a "black" chicken like me. I wondered how hypermarts roast their honey chicken...Maybe they roast it first, then just brushed them with honey after roasting? What do you think? Hi Jane. You seriously are Supermum! How on earth did you whip everything up- and such delicious sounding dishes at that? 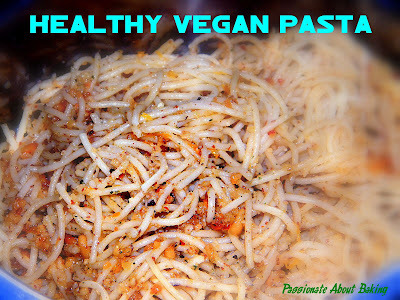 The pasta sounds really intriguing! Does the mint flavour dominate the entire dish? Ya, speak of the mint flavour, it didn't come out quite distinct. I should have put more mint leaves though. I was afraid it might cover the taste of the zest, but it didn't. I won't mind it being strong actually. You're first class, Jane. It's amazing the feast you prepared. Even with help, it's still no easy feat. 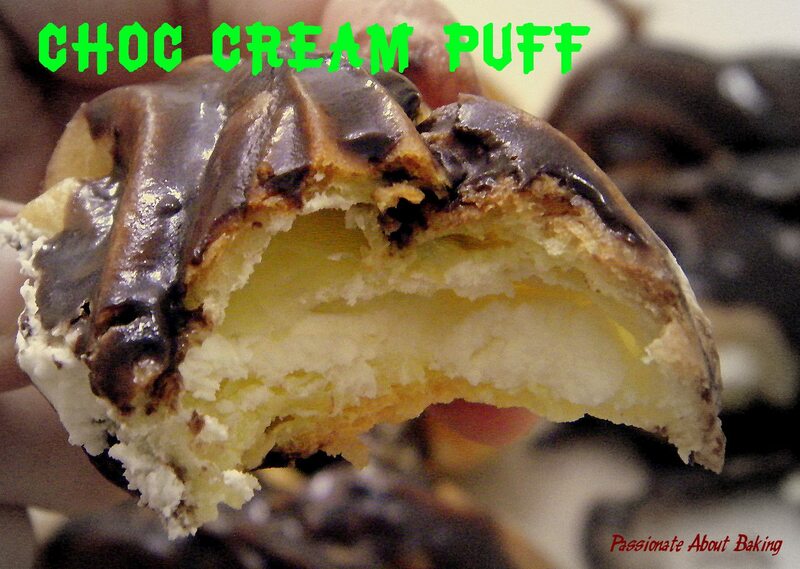 Love your cream puffs!! Thanks. I don't made them all in one day. I'll probably died of tiredness! Heehee...I also purposely prepared foods that are easy, not so complicated so that I can cope. Thanks. The foods I prepared are truly simple, no sweat kind. So it's really achievable by anyone! 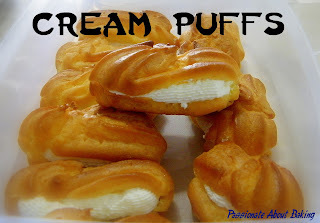 I love your cute little cream puffs too!